Apple Music has reached a total of more than 56 million paid users and additional test accounts, the platform has grown by 6 million customers in the last 6 months. In May of 2018, Apple Music reached 50 million users . Be that as it may, the new data has not been revealed by Apple but by The Financial Times , which has published new details about Apple's negotiations with the US radio group iHeartMedia. 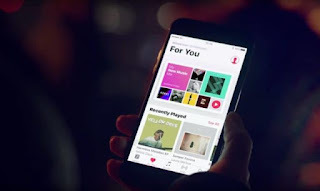 "APPLE MUSIC EXECUTIVES SAY THAT AFTER A LATE ENTRY INTO STREAMING MUSIC IN 2015, THE TECHNOLOGY GROUP HAS BEEN GAINING CONFIDENCE AND STRIVING TO GROW APPLE MUSIC. 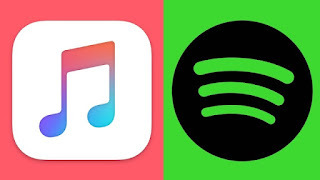 THE NUMBER OF SUBSCRIBERS HAS GROWN TO 56 MILLION, FROM 50 MILLION IN MAY, AND APPLE HAS RECENTLY SURPASSED SPOTIFY TO BECOME THE LARGEST STREAMING MUSIC SERVICE IN THE UNITED STATES AT THE REVENUE LEVEL. " Despite earning more money with its services, Spotify is still ahead with a total of 87 million paid users worldwide. Both Spotify and Apple Music offer unlimited access to a library of millions and millions of songs for 10 euros per month or 15 euros for family groups. But Apple Music is only integrated into Apple's own services and products, such as Siri and HomePod.